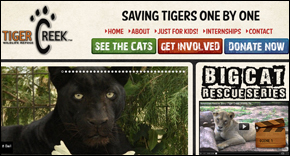 Great Cats in Crisis - Your One-Stop Big Cat Solution Nationwide! First response for great cats that are abused, neglected or displaced anywhere in the United States. 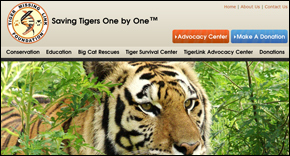 Great Cats in Crisis is nonprofit organization operating throughout the country to rescue big cats in emergency situations and alleviate their suffering. It provides the first response to any great cat in a crisis situation and arranges for its immediate rescue. Great Cats in Crisis responds to emergency calls for help from game wardens and law enforcement officers and organizes and funds the rescue and rehabilitation effort provided by a network of approved sanctuaries. Come to the immediate aid of great cats in crisis. 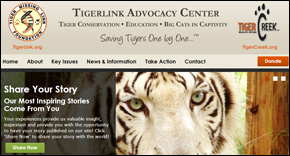 Rescue and relocate great cats to a safe facility. Great Cats in Crisis is a 501(c)(3) nonprofit organization legally chartered in the District of Columbia with formal approval for tax exempt status for contributions from the U.S. Internal Revenue Service (IRS determination letter available upon request). 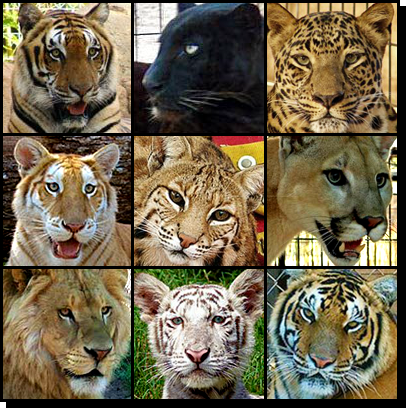 The organization is funded by the generous donations of individuals who are sickened by the abusive treatment of these splendid animals and share the organization’s commitment to rescue them as quickly as possible.